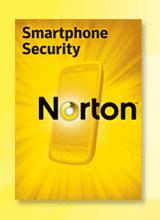 Recently I’ve written about the security of the Android phones, and about the Antivirus for android phones, also the remote management of android phones via SMS, and so to extend the security of the phone, Norton smartphone security would be the best tool I recommend apart from the Antivirus program by DroidSecurity. The Norton security by Symantec protects the phone in more than one way, and not just the phone but every internal information and data is secured and managed, which comes to the best use when you are browsing the web, or lost your android phone. As explained in the other phones, it helps in remote management of the phone, but the service doesn’t end there. The security system comes with an anti-malware feature and also an option to block calls from certain numbers. Anti-malware – The anti malware feature of the Norton security is one of the best for keeping the phone safe while browsing the web, and downloading any apps, media or documents to your phone from any website. It helps in detecting any threats and files that may be affecting the performance of the phone, and that may affect the system files internally. It runs a scan whenever you prompt it to, apart from scanning every downloaded file as soon as its downloaded. The strong system of its deletes or takes necessary action on the files that may pose a threat to the phone. After the scanning is done, the applications which are unsafe, are automatically blocked. Theft security – The security system helps you wipe the entire data or lock the phone remotely when you lost it. You can manage that by sending an SMS to the phone, or manage it from the symantec system by checking the location of the mobile. Here’s the tutorial on how to do the remote management of the phone. Call blocking – The call and message blocking option helps you block any unwanted and annoying calls or text messages. You just need to enter the number you want to block, and its done. All the messages and calls from that number won’t reach your phone then. All the personal information is kept safe and secured in your android phone, and the phone is kept safe from getting into a problem due to the malware or any other security threats. You can download the app from the Android market for free, which has a time of 3 months for free usage.